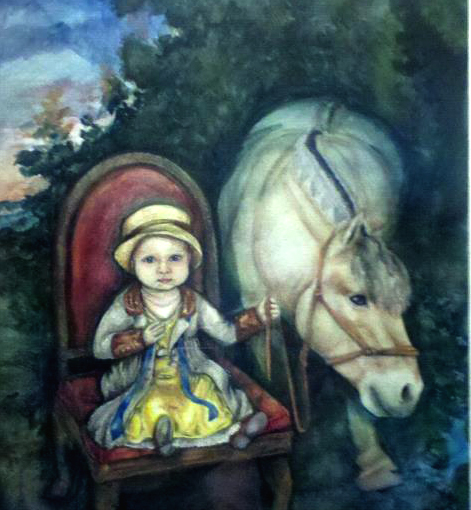 Long before I met rescue horse, Thor, a very similar equine found it’s way into my sketches and finally materialized in a portrait of my niece. 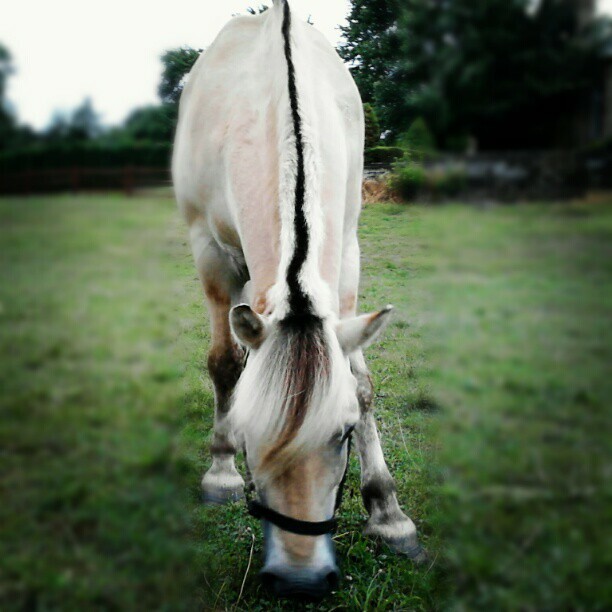 Thor’s distinct looks are inherited from his ancient breed – he is a Fjord horse. The Fjord breed originates in Norway and it seems like the horses have been selectively bred since the time of the Vikings (in the famous Viking ship burials, there are horse skeletons closely resembling the Fjord). Thor was neglected and left on his own in a field for over a year before he was rescued. Now he is now enjoying a new life, with new horse friends in a pasture surrounded by apple trees. 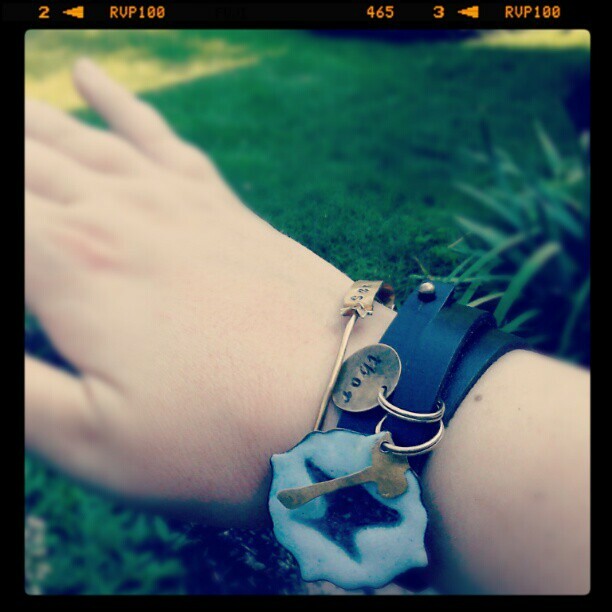 His retired halter tags have made a lovely set of charms for a leather wrap bracelet – and the look has inspired work on a collection of wearables made from antique bridles, reins and stirrup leathers.